Welcome to Westmount at Copper Mill Apartments in Houston, Texas, where the finest features of community living are waiting to give you the peace of mind that you deserve. Our spacious one and two-bedroom apartment homes are designed to make your ideal lifestyle a reality, with no less than eight unique floor plans that provide everything you need to feel right at home. The gold standard of comfort and convenience can be found throughout our premier apartment community, with benefits like a tropical-style swimming pool, a state-of-the-art fitness center, and a dog park for you and your furry loved ones to enjoy. You’ll find endless amenities inside your new apartment, where our renovated interiors have special accents including vaulted ceilings, oversized closets, and charming fireplaces. Style and luxury blend effortlessly at Westmount at Copper Mill, the perfect place to call home. 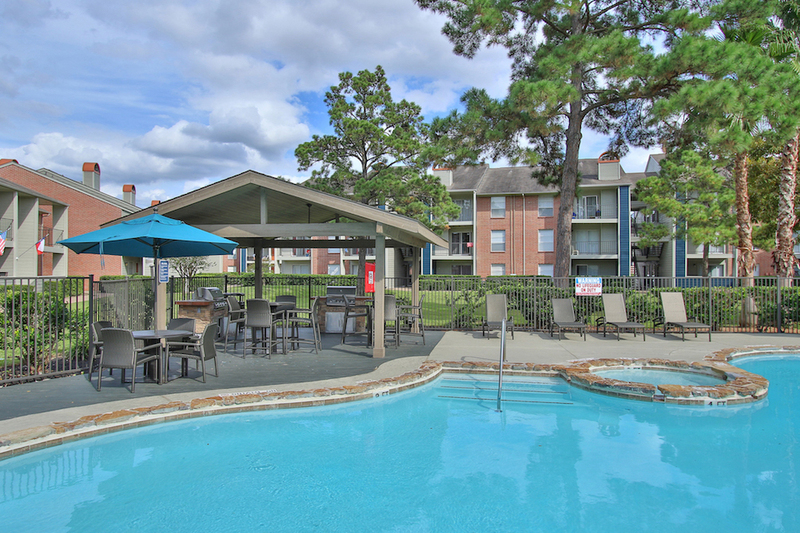 At Westmount at Copper Mill Apartments, our residents enjoy the unparalleled convenience of our community’s prime location with the best of Houston close by. Explore the green surroundings of our scenic neighborhood, with fresh air and breathtaking nature paths at Bear Creek N Trail right down the road. If you’re looking for a splash of culture, you have a thriving hub of retail, dining, and entertainment hotspots right outside your door at both Hearthstone Corners and Copperwood Village Shopping Center, where you can find the best necessity, luxury, and specialty shopping. There’s plenty of options to satisfy your hunger at the raved-about restaurants nearby, like the Creole cuisine at French Quarter Cajun Seafood, the Asian fusion fare at Happy Garden Restaurant, and the Tex-Mex favorites at Fajita Willie’s. Plus, with downtown Houston only a quick 30-minute trip by car, you can enjoy a stress-free evening of big-city fun with the relief of an easy commute. It’s all here at Westmount at Copper Mill!